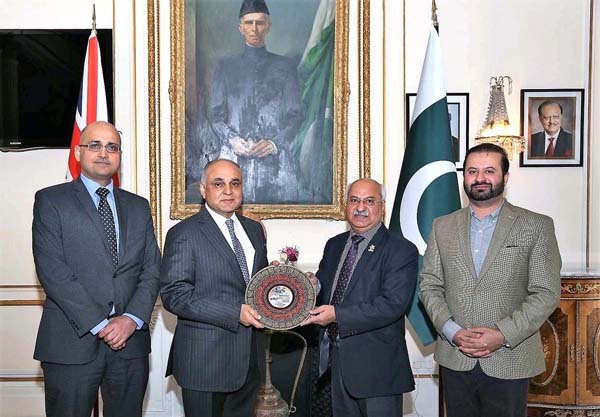 LONDON, May 18 (APP):A delegation of Rawalpindi Chamber of Commerce and Industry (RCCI) led by Khursheed Barlas met with Syed Ibne Abbas, the High Commissioner of Pakistan to the United Kingdom (UK) here at the High Commission the other day. According to a statement issued here, RCCI delegation apprised the High Commissioner of their upcoming events at Birmingham and Manchester in November this year during the meeting. They appreciated High Commission’s support for their Investment Conference at Birmingham last year. The High Commissioner assured the visiting delegates of Mission’s support to promote bilateral commercial relations. During the last one month, five trade delegations from Pakistan have visited the UK, which shows keen interest of the businesses of two countries to enhance bilateral trade.